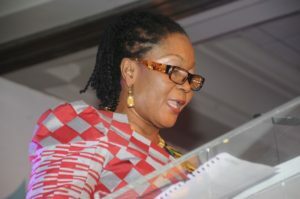 Ghana’s First Lady, Mrs. Lordina Mahama, has recently charged her fellow African First Ladies to champion the rights of the adolescent girls in order to protect them against societal norms and violence. “Until each citizen, appreciates the importance of protecting adolescent girls, ending gender norms, and violence against girls, we must continue to advocate, until our technocrats, argue their way out of the “whys and how’s” of collecting, analyzing and disaggregating data on adolescents, for decision making,” she stated at a side event organized on the heels of the High Level Meeting on HIV/AIDS at the United Nations headquarters in New York. Under the theme, “Breaking the Silos: Empowered Adolescent Girls, at the Centre of the Response,” the event was organized by the Organization of African First Ladies Against HIV/AIDS (OAFLA), an organization that advocates for effective strategies, towards the elimination of HIV and AIDS.